You have shot several video clips and it’s time now to combine them into a single one? But how? For Windows 7 users, you can totally use the built-in free video joiner named Windows Movie Maker, and I will show you how to combine two or more videos into one step by step later. 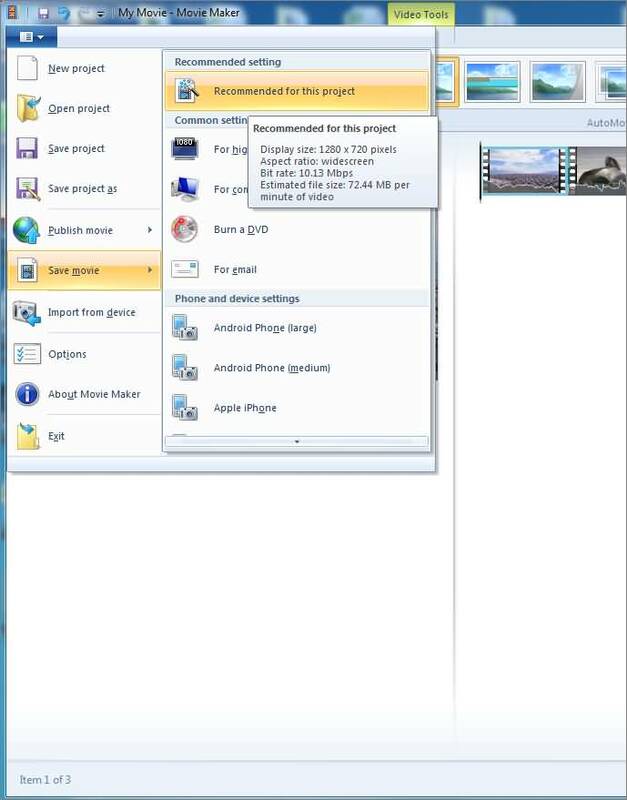 If there is no built-in Windows Movie Maker on your computer, don’t worry, I will show you how to use one of the best Windows Movie Maker alternatives to do that. 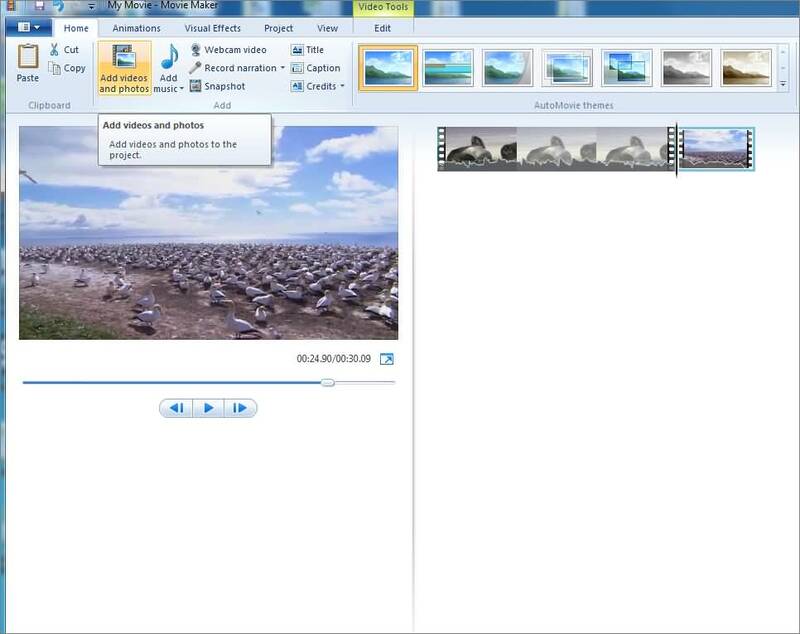 While Windows Movie Maker allows you to cut, trim, rotate and combine video clips etc. In this article, we will focus on showing you how to combine two or more multiple clips into one video within Windows Movie Maker, and with Filmora, one of the best video editor for beginners as well. New to video editing world? Check this how to edit video ultimate guide to learn video editing step by step. To combine several video clips into one with Filmora is easy, just drag-n-drop your video clips to the timeline in sequence order and then export. Done! But with Filmora, you can do more editing other than combining or merging. Filmora shares many of the same benefits as Windows Movie Maker including the one of the best aspects of both products: It is easy to use, and very intuitive for those who are working on their first project. You can always empower your story with Filmora. Just for combining videos, you can follow the above way to combine multiple videos into one and playback them one after another, but wait. You can make a split-screen video to display the clips simultaneously or put two videos side by side in the same frame. Not sure what I’m talking about? Just check the video below about how to make a split-screen video. Filmora is also loaded with many advanced editing features such as green screen, tilt shift and face off features. All of which go along with the basic elements one would expect from a video editing software, such as the ability to crop, trim, split and combine your footage, as well as loads of effects and transitions. Currently, there are more than 300 effects built-in, which will make your video clips great. Click the Add Videos and Photos button under the Home tab, and then select the video clips you wish to use. You can also drag the file directly into Windows Movie Maker's Storyboard Pane. 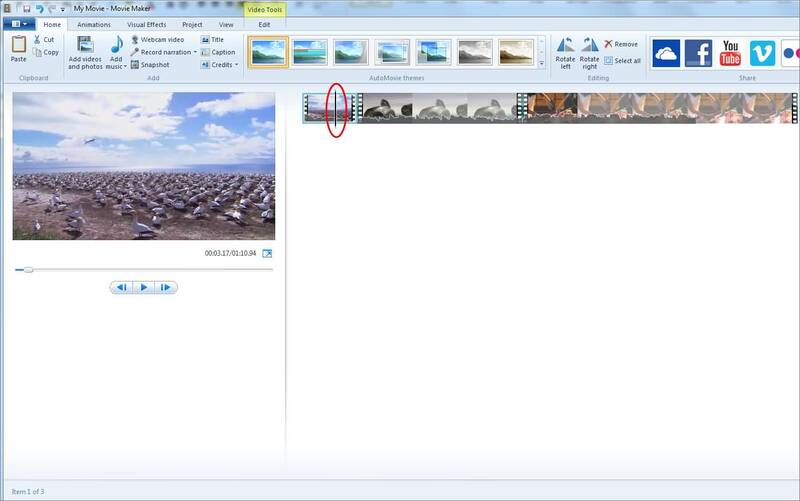 Each of your clips will be separated within the Windows Movie Maker timeline by a thin break on the right side of the display. You can pick and choose the order of these clips by clicking on them and dragging them into the proper position within the timeline. Once you have all of your clips sorted in order, you can merger the clips together then click on the Play/Preview button to run a quick preview of your work. Once you are pleased with the work you have done, click on the Movie Maker tab - located in the top left corner - and save your file. Remember, depending on how and what your project will be used for you will need to save your video in different formats or resolutions. SORRY WINDOWS MOVIE MAKER TAKES 2 YEARS TO MERGE 2 VIDEOS- YOU WOULD BE BEST TO FIND THE MOVIE ITSELF ONLINE AND DOWNLOAD IT. HAS THIS PERSON WHO RECOMMENDED "WINDOWS MOVIE MAKER" (((TRY))) THIS? I GUESS NOT- SINCE SHE/HE DIDN'T NOTICE THAT IT TAKES A DAMN WHOLE CENTURY FOR WMM TO DO THIS. MY MOVIE IS TAKING MORE THAN AN HOUR. I HIGHLY DON'T RECOMMEND WINDOWS MOVIE MAKER. LET'S GO BACK TO THE DRAWING BOARD!! !